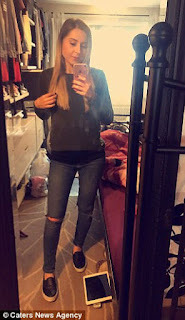 Amy Redhead, 28, from the West Midlands, had suffered abdominal pain but was only sent for tests after she discovered a lump in her stomach. She was found to have an aggressive form of cancer which had spread to her liver. After initially being given months to live she was recently told the outlook was worse than first thought and is being treated in a hospice. Ms Redhead turned down chemotherapy to lengthen her life, saying she wanted to live her final days as healthily as possible, and is now using social media to warn others about the disease. 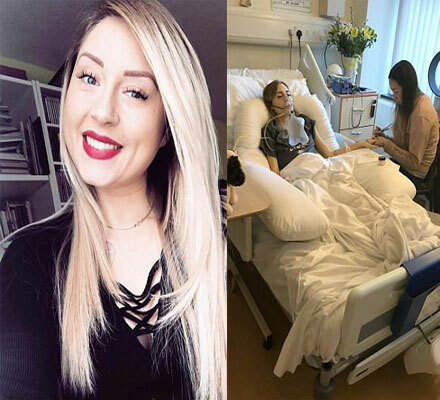 Her sister Emily, 22, said: 'Amy is so stubborn and it was no surprise when she refused chemotherapy, the doctors had already told us it would only give us more time. 'She said she'd rather have less time and feel healthier in herself so that's what she chose to do. 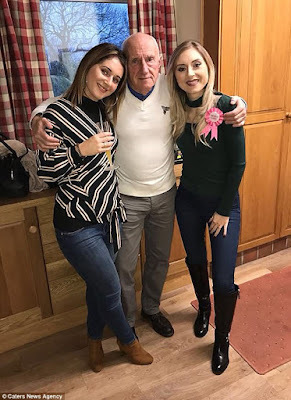 'We're so grateful to have celebrated her birthday, Christmas, New Year and our dad, Robert's, 76th birthday together. 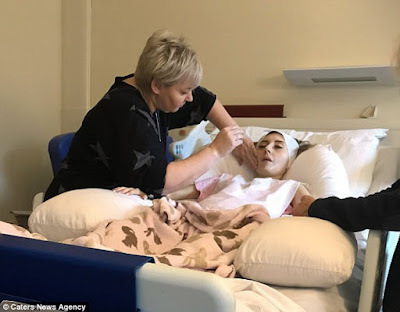 'Amy has shared her story on social media throughout her ordeal but now she's not well enough to do so for herself anymore, we're doing it for her. 'We're sharing the photos of her in the hospice from the past few days to show others the physical impact bowel cancer has on the body. 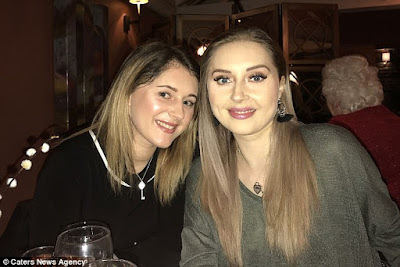 She was diagnosed with colitis - inflammation of the inner lining of the intestine - from the age of 11 and was warned that she was at a higher risk of developing bowel cancer. Her sister added: 'Amy was fit and enjoying the gym just weeks before she was diagnosed. 'We don't know whether she first blamed her symptoms on her colitis but we want people to be aware of any changes if you have the condition. 'It's important that those with the illness keep on top of their regular checks. She added: 'Our parents, Lynn, 63, and Robert, have always told us not to argue when we'd have silly rows as we'd only have each other once they were gone. 'Amy's diagnosis has made me realise how important siblings are and to never take the little things for granted. Ms Redhead decided to stop all of her medication last week and is being cared for Primrose Hospice in Bromsgrove. To donate to her GoFundMe campaign, click here.